Want to purchase the full kit? Click here for the blue kit and click here for the red kit! Let it Snow, Let it Snow, Let it Snow! This pillow will be the perfect addition to your holiday decor. 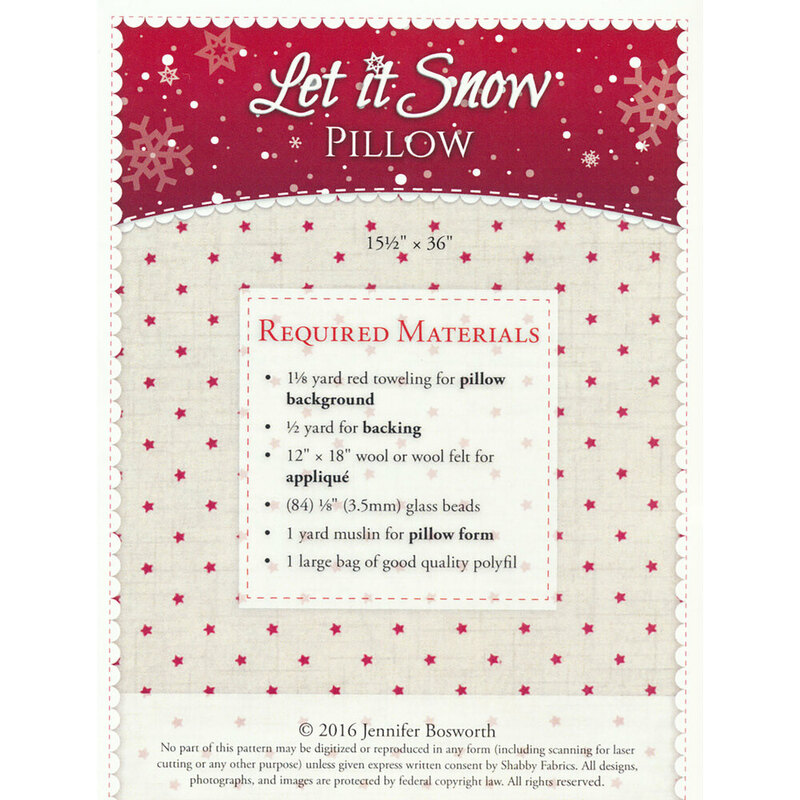 This pillow measures 3 FEET LONG x 15" high and features the words "Let It Snow" with whimsical little accents of falling snow. 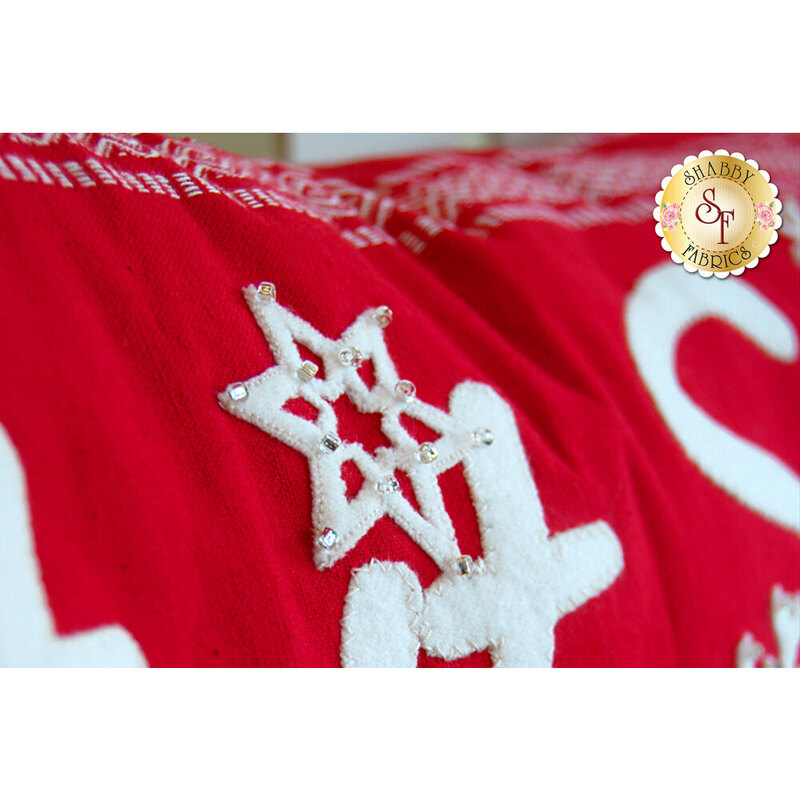 Clear crystal beads bring to life the tips of each of the snowflakes, making it a "winterfully wonderful" pillow! Pattern includes instructions and diagrams to complete the pillow.